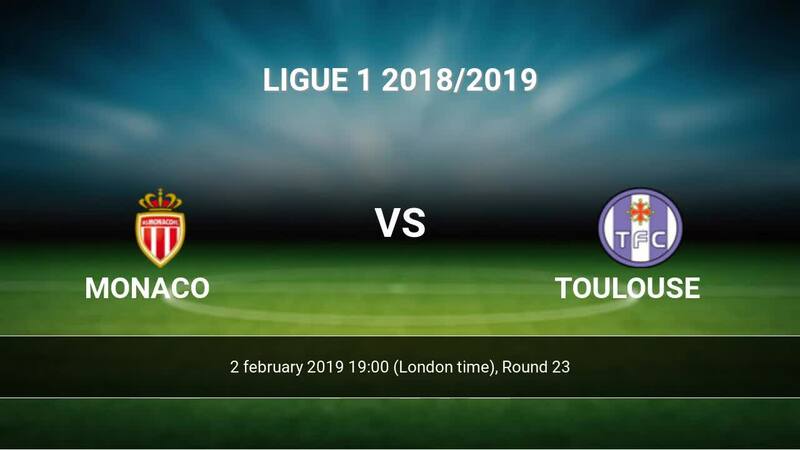 The match Monaco-Toulouse Ligue 1 will start today 19:00. Referee in the match will be Mikael Lesage. Team Monaco is in the releagtion zone of the table. 19 position. Monaco in 5 last matches (league + cup) have collected2 points. From 6 matches can't win a match. The best players Monaco in Ligue 1, who scored the most goals for the club: Radamel Falcao 8 goals, Youri Tielemans 5 goals, Benjamin Henrichs 1 goals. Players with the most assists: Radamel Falcao 1 assists, Youri Tielemans 1 assists, Benjamin Henrichs 2 assists. William Vainqueur, Naldo. They will not be able to play in the game due to suspension. Team Toulouse is located in the middle of the table. (13 place). Toulouse in 5 last matches (league + cup) have collected8 points. Not lost the match from 3 games. Leading players Toulouse in Ligue 1 is: Max-Alain Gradel 8 goals, Aaron Leya Iseka 3 goals, Jimmy Durmaz 3 goals. Most assists in the club have: Max-Alain Gradel 4 assists. In Toulouse not occur in the match due to injury: Kelvin Adou. Direct matches: Monaco won more direct matches. 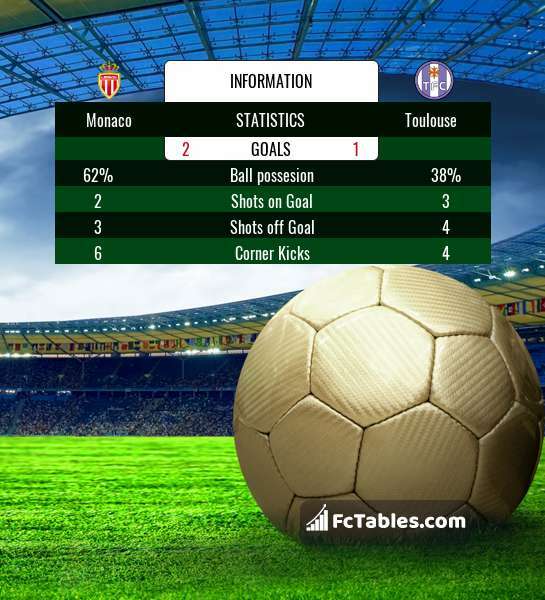 Monaco won 14 matches , Toulouse won 5 direct matches, was a 13 draws. In 13 matches the sum of the goals both teams was greater than 2.5 (Over 2.5), and 24 matches teams scored more than 1.5 goals (Over 1.5). In 15 matches the both teams scored a least one goal (Both teams to score).